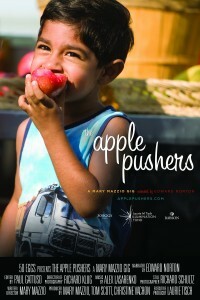 I hadn’t until a few weeks ago when my girlfriend Deborah and I saw the documentary film The Apple Pushers at the Atlanta Jewish Film Festival. I walked into the theatre expecting to see a movie about food carts in New York. I walked out with an appreciation of how a small “green cart” can change people’s lives. I also left with the a greater understanding that knowledge alone will not right obesity. Nor will information on how to eat healthy lead to nutritious food choices. Oh sure it’s important to know about the food groups or the new “food plate.” However, easy and affordable access to fruits and vegetables is often the critical missing link. As I munch on an apple while writing this post (I sprinkled a little cinnamon over the pieces..so yum! ), it sounds so simple but in reality it’s not always the case. So what is a food desert? In the simplest of explanations it’s an urban or rural area that doesn’t have local access to healthy, fresh food. According to the US Department of Agriculture (USDA) 10% of the country is now a food desert. Mind boggling. If you look around at the residents of a food desert you might feel a disconnect. People don’t look emaciated. In fact, they often appear quite the opposite .. like a Jenny Craig or Weight Watchers opportunity. However, healthy issues are often not obvious. Some people are walking high blood pressure time bombs while others may have diabetes or diseases that might be attributed to too much fast food, too much junk food, too much food that clogs the arteries. Back to the film. 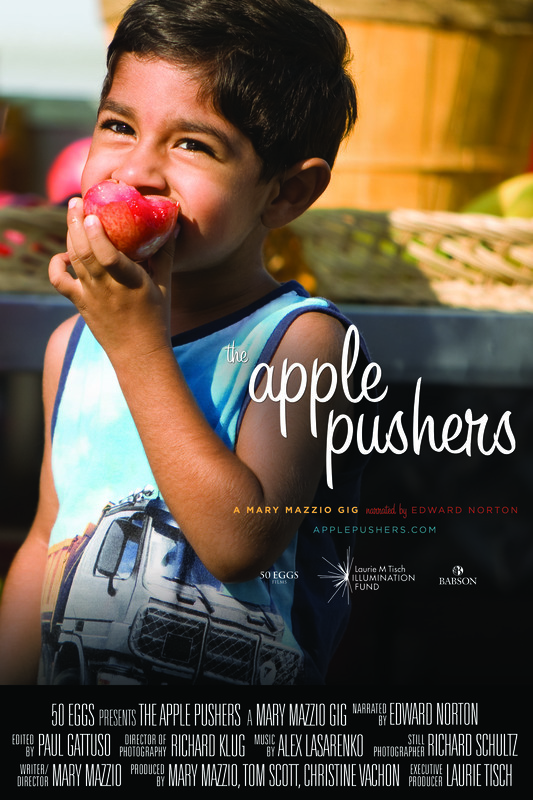 The Apple Pushers follows the lives of five immigrant, street vendors who take part in an innovative program, Green Cart, sponsored by New York City. Through their stories we experience not only their hopes and aspirations but those of the people in the communities where they set up their stores on wheels. Although it address a serious issue of our times, it’s an uplifting film that reinforces the American dream .. where working hard and providing the right product and the best service to your customers can create a better life. Not only for you but your family and your community. 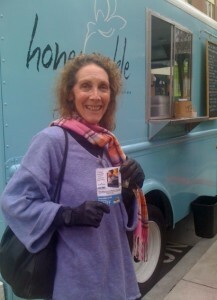 Top NYC Chefs are supporting the Green Cart imitative by contributing their recipes in The NYC Green Cart Cookbook! Free download. I encourage you to click and save .. there are some great recipes.